The End of "Bedroom Tax"? We Got the Gold Award! This service allows you to authorise other people to help you manage your My Home account, but you will remain responsible for anything they do on your behalf. Normally this will be a friend or family member, but it could also be someone who offers you professional support. Your representative will have their own log in to your My Home account so we can see what actions they take on your behalf. Once you have allowed someone access to your My Home account, if you change your mind, it can take up to three working days for us to remove their access rights. Once your application is accepted, we will e-mail your representative with details about how to complete their registration. When they have registered, your representative will have full access to your My Home account. This means they can do everything you can do in My Home – from ordering repairs to paying rent to making an application for a joint tenancy or asking for someone’s name to be removed from the tenancy (this does not mean we will agree to the application – but they can ask, so think carefully before you agree to this, and be sure it is the right decision for you). They can also access all of the documents held in your My Documents section of My Home. 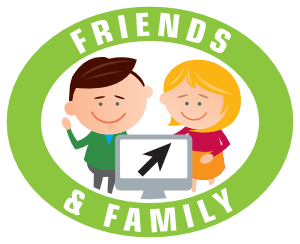 We can also accept applications directly from someone acting on your behalf to request a Friends and Family login – for example someone who has a Power of Attorney or other good reason to help you manage your affairs. Where someone has Power of Attorney, you have already agreed that this person can look after your affairs, so we will normally process these applications quickly. If they do not have a legal document authorising them to act for you, we will normally check with you that you are happy to authorise us to give them access to your account before we agree. Just a reminder - if you're on Universal Credit and you haven't updated the DWP with your new rent yet, please do it now! And if you're a Gold or Platinum tenant, remember that your claim is for your full rent and any service charges, not your discounted rent. East Lothian Housing Association is a Scottish charity and registered social landlord under the Housing (Scotland) Act 2001 (Scottish Charity No SC028900).